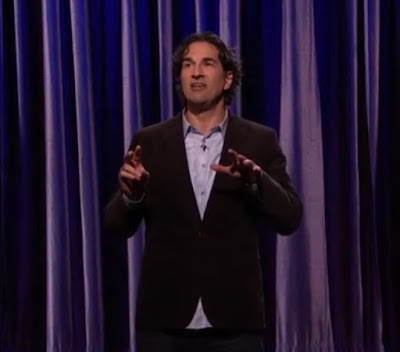 Gary Gulman is a funny stand-up comedian who we featured here earlier this year. We got many requests to bring him back with other routines, so here he is again. In an interview by the JDate editorial team published online, Gulman reflected on how he includes Jewish themes in his comedy. 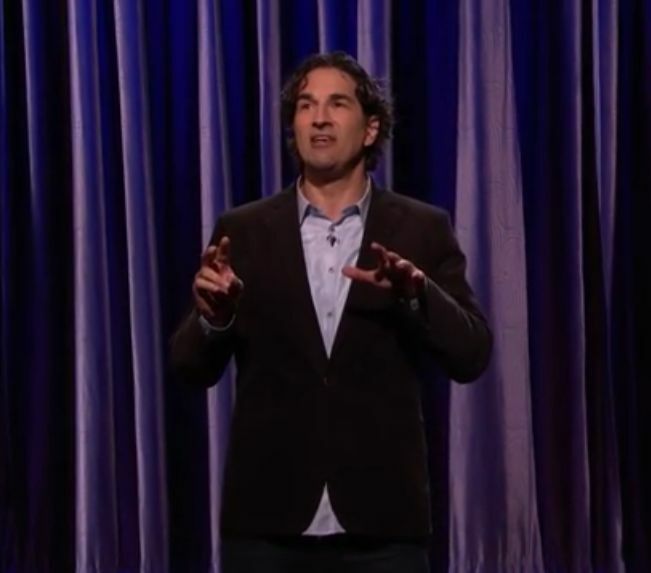 In this appearance on Conan O'Brien's late night talk show, Gulman tells a funny story about a 90 minute documentary that was made about the men and one women who abbreviated all 50 states down to two letters. He'll make you laugh about the crack outfit of abbreviators who got stuck after their first abbreviation of AL for Alabama. Funny! But seems like it would make more sense for this venue if there were some Jewish content. Well, perhaps it's part of a new "Young Jews Telling Jokes" series... - it's already true that in the "Old Jews..." series, frequently the only Jewish content is the intro music.